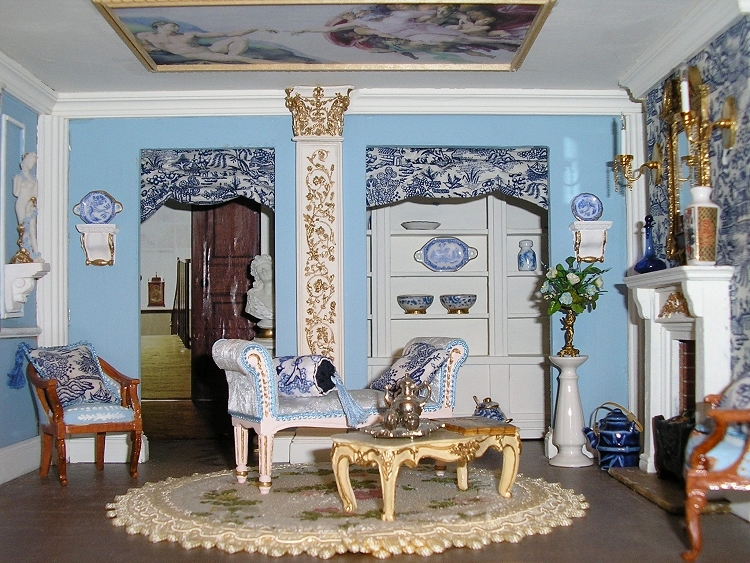 The Blue Morning room would be where the Lady of the House would take her morning Tea. Her silver tea caddy carefully hidden away from the servants eyes, because tea was highly prized in the Georgian period. 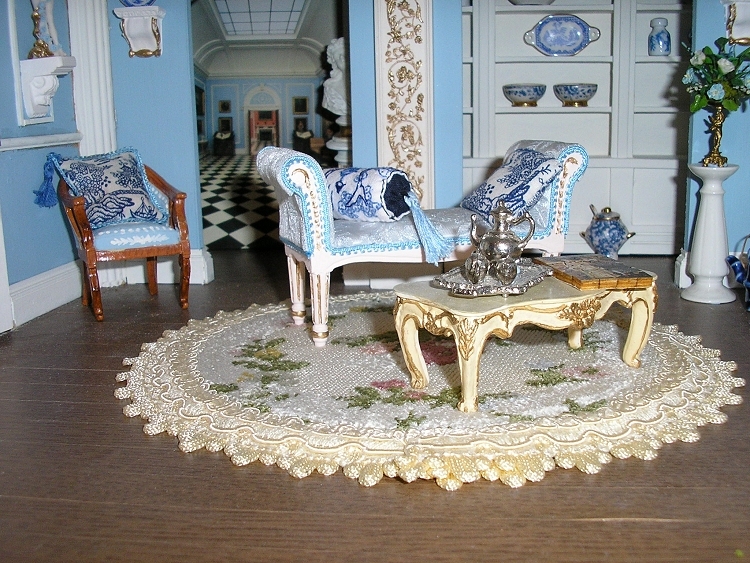 The room also houses the family collection of highly valuable China. The room is sumptuously decorated in powder-blue with white panelling. The curtains and fireplace are covered in fabric. This room has lots of plaster work, busts and figurines. It has a walnut, chippendale mirror above the fireplace and powder-blue window seat with hand embroidered barrel cushion in a Japanese style design to complement the wall design. You may also recognise the mural on the ceiling.